The winter transfers combined with a tight schedule with two Cup matches will influence all Super League clubs on way or another. The recent defeats of PAOK from Kalloni and Panathinaikos from Giannina (both in the Cup) are two good examples. We must be cautious during days 18 and 19 and observe how all clubs will respond to the changes made in their rosters. Let’s have a look at the brief previews for Day 18. Referee: Anastassios Sidiropoulos. Games 2-1-2 / 8 goals / 2 penalties / 32 yellow cards / 0 red cards / 1 player sent off. We already know Xanthi struggles to win since the season started (only 3 wins in 16 matches) but we also know they have been quite fond of draws too (3W-8D-5L). Coach Lucescu is under pressure as his team has not won in the last 5 (0W-2D-3L) but the good news is the do have a good history against Atromitos at home (7W-1D-2L). Do not forget they have a match less as their home battle against PAOK was postponed due to snow. The last match of Xanthi was last weekend against AEK (2-1) and they resisted a lot to a stronger opponent. Atromitos has similar difficulties in winning but their real problem is in offense where they hold the second worst record in Super League (11 goals in 16 matches). They also have a match less as their away battle against Levadiakos was postponed due to the bad weather conditions. Despite the difficulties, they have built a mini undefeated streak of 4 matches (2W-2D-0L) and they have kept a clean sheet in their last three (2W-1D-0L, goals 1-0). They come from a midweek stressful win against Platanias for the Cup (2-1). It was their third consecutive match against the same opponent. The first Cup match and their Super League battle had the same score, 0-0. Two teams that struggle to win are always probable to settle with a draw. A low score is not out of the question but the odds do not worth the risk. Atromitos has better chances for the win at the moment and, with this option, we’ll get our money back in the case of a new draw for both sides. Referee: Georgios Kyzas. Games 4-1-1 / 17 goals / 4 penalties / 39 yellow cards / 1 red cards / 1 player sent off. Panthrakikos had a few good matches (and results) last December but the break for holidays was not good for them. The proof is they have not scored yet in their two Super League matches (Asteras Tripolis 4-0 away, Veria 0-0 away) but they now return at Komotini to fight for a win in front of their crowd. Many believe the players are influenced as they had not been paid for 3.5 months. They need to win this match (and the following one against Kalloni) if they want to stay alive in their battle to avoid relegation. Panetolikos was determined for the win against Asteras Tripolis last week and they managed to get it (2-1). To be honest, I did not expect this result at all (I chose that match for the Pick of the Day section) as Asteras looked to be in form. They proved me wrong but I cannot trust Panetolikos in this away battle especially with a poor record of 1W-2D-5L (goals 8-17) away from Agrinio. Panthrakikos wants the two next matches badly while Panetolikos is not safe yet. The two teams have the same goal at this point (avoid relegation) and this is why I do expect to see them motivated. Given their poor defensive behavior this option AND a result of Over 2.5 goals @ 2.30 are the best choices. Referee: Georgios Kyzas. Games 3-1-1 / 14 goals / 3 penalties / 32 yellow cards / 0 red cards / 3 players sent off. Levadiakos had a midweek Cup re-match against AEK (2-0 defeat) and they were left out of the tournament as expected. 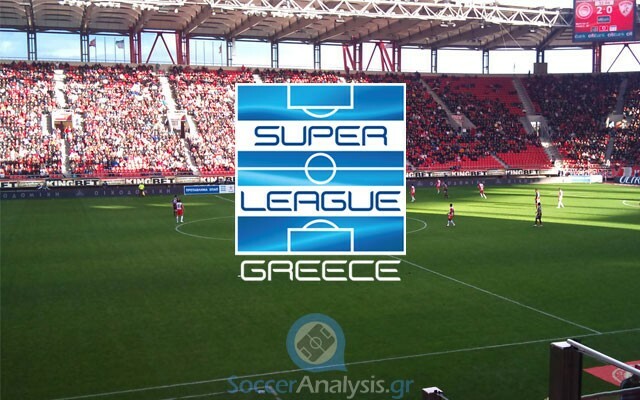 Their last Super League match was the away defeat from Olympiacos (3-1, also expected) but we should acknowledge they tried hard and actually made it to score a very difficult venue despite their many absences. The next opponent is easier and definitely within their reach. The records of the two clubs (home and away) show they are after a positive result whenever they can get it. They are also safe and only a point away. Levadiakos is more experienced but Iraklis 1908 got rid of the stress they had when the season started (and lost from Levadiakos). I think the fatigue of both sides from their Cup matches can help us get paid with a minor risk at the halftime draw. The away win @ 4.50 is also a good risk but if you are afraid of such odds, the handicap win (+0.5) of Iraklis @ 2.00 looks safer.